With nearly 1000 student accommodations in Bordeaux and Tours, Study’O Residences welcomes you all year round in one of its student residences. Perfectly equipped to meet all your expectations, each furnished rental studio in Bordeaux, from the studio to the one bedroom apartment, is carefully decorated, and allows students to have a high degree of autonomy. A complete and quality equipment (kitchenette, furniture, accessories…) allows you to start your studies in the best conditions and without any stress when moving into your furnished rental studio in Bordeaux. No actions need to be taken to get water or to sign-up for the Internet. You enter the apartment and you can directly connect your PC, tablet… you’ll have a broadband internet access. 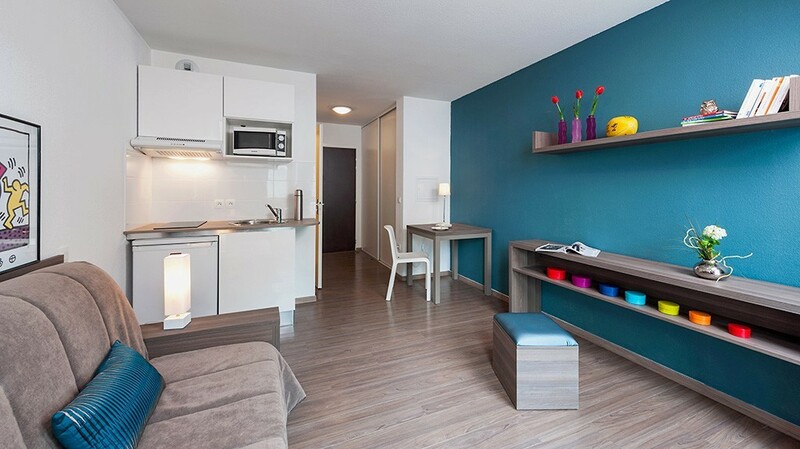 Our student residences in Bordeaux and Tours are conveniently located, close to the major university faculties, schools, but also to the public transports and shops.